Are you creating landing pages for your business? This is something that I am doing more and more. 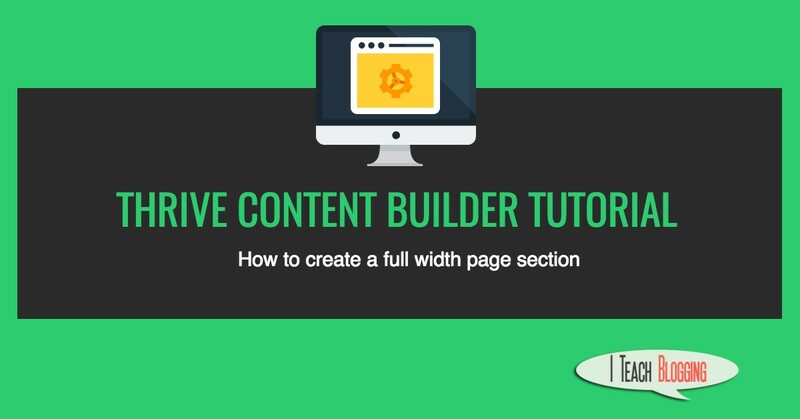 The premium WordPress Plugin Thrive Content Builder makes it easy. In this tutorial, you will learn how to quickly and easily add a full width page section to your landing page. Adding a full width page section to your WordPress website page adds visual interest to your page. This is quite handy when you want to highlight a section of your landing page such as a sub headline. The screenshot below is taken from my landing page about Thrive Leads.​ It shows a full width page section that is mobile responsive. In the video below you will see step-by-step how to add your full width page section and change the background color of the section. Thrive Content Builder is a premium WordPress plugin that allows you to quickly and easily build landing pages. It is my go-to plugin and I hope that this blog post helps you.